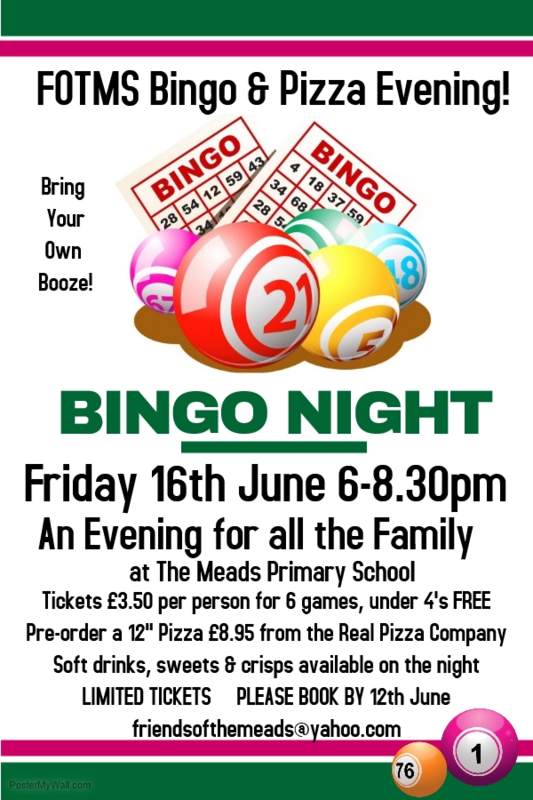 The Friends of the Meads is a volunteer committee of parents who work to raise money to provide equipment and resources to enhance our children’s education and the facilities in school. We organise events to enable parents, children and teachers to meet, both inside and outside of school hours, and to work together to help improve the school. The funds are raised through a variety of events which we plan throughout the school year. Many events are ‘regulars’ and are held every year but we are always on the lookout for new fundraising ideas. This year we plan to organise discos, the Christmas Fair, the Easter Egg Hunt, the Summer Fair, organise ‘Bags to school’ and regular bake sales alongside Mothers’ and Fathers’ Day Gifts, Scholastic books and Christmas cards. In the past we have organised bike sales, film events and quiz nights too. The committee, working with guidance from Mrs Perry and the staff, work together to agree what to spend the funds on. In the past we have provided funding for school trips (including the all-school trip to the National Gallery last year), the adventure playground, additional reading books, musical instruments, picnic benches, sports equipment and the fleet of LearnPads. We are a friendly bunch always looking for new ideas and volunteers. It’s a great way to make friends, have fun and support the school. We try to meet once per half-term and more often in the run up to a large event. We split the meetings between the evenings and day-times to ensure as many people as possible can attend.